When you are packing your household, it totally depends on you from which room you are going to start. If you want to pack like a pro then give preference to the room that you use the least and the room which is more important should be packed at the last. As per the professionals advice, bedroom and kitchen should be the last places to pack. Not everyone is a professional in packing the things and we do understand it better. This is a reason, why we are here with the best tips. Bedroom packing is all dependent on your tricks and tactics. If you are smart to deal with the things, it can happen like the blink or eyes and if you are not then you are going to leave yourself in between a messy bedroom for days. Don’t get disheartened, if you have not tried it yet. Here we are with 10 such moving tips that will make bedroom packing the simplest thing for you. 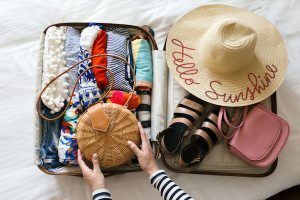 If you want to pack like a pro and that too without wasting any time of yours then here are the tips that you should follow to make bedroom packing the simplest task. Packing is all dependent on planning. If you are planned well then definitely your packing will also go well. You should start packing with the items that you don’t use frequently. Like the special bed sheet which you use on festive occasions or the white curtains that you only use during special times. Doing so, you will feel that half of the problems of bedroom packing are sorted out. Clothes packing is the complex task of entire shifting process. If you really wish to get the things the right way then you should pack the clothes efficiently. Start with the off-season clothes as this will save a lot of time. 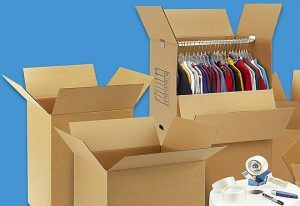 Use proper size boxes because you cannot compromise with damaged clothes by the end of the move if using wrong boxes or bags. Even if packers and movers are packing the things for you, still they need assistance in the task. After all, it is your home and you know the things better than them. Tell them about the things that you won’t be using frequently hence they will pack them in that manner only. Bedroom is the place in the home where there are big and bulky furniture like bed, cupboard, etc. If you want to deal with the shifting process efficiently then make sure that you disassemble the furniture properly. This will make you pack and move it safe and secure without any complication. If you want that your clothes should not lose their original shape then make sure you are packing it in cardboard boxes. In this way, you can pack more and can easily carry it to another place. Packing bedroom is going to be a tough and time taking process. Don’t assume that you are going to do this at the last moment. If you really wish to achieve success in the same then you should start packing the things in advance time. Labeling is necessary in case you don’t want any sort of complications in the moving process. 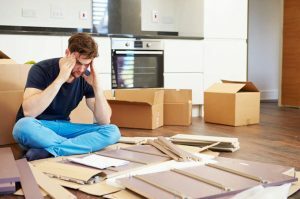 You should label each moving box properly so that, it can be handled in that manner during the moving process. Labeling will assure generous dealing of the items inside the box. Packing shoes can be complicated. If you wish not to get stuck in any of these kinds of things then pack the shoes in the original boxes. 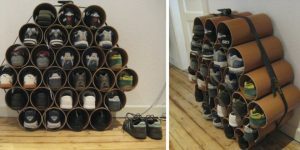 This will save a lot of time and efforts for you and your shoes will also remain in shape. 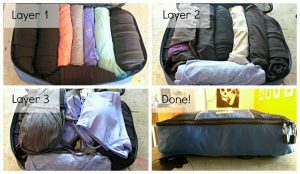 Make use of plastic garbage bags for packing the linen. A day before leaving, you should pack the curtains, bed sheet, cushions, and pillows. 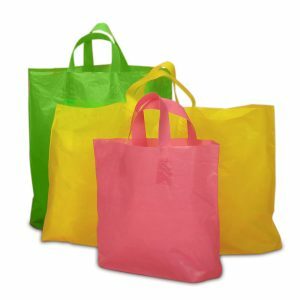 The best benefit of using plastic garbage bags is that they are reusable and they will ensure that there would be less mess in and around your new home. Even if you are expert in packing the things and you are sure that you can manage the things by own, you still need experts for the task. There are few specialized items in which you cannot take any sort of risk. Hire packers and movers for specialized items packing and save yourself from unwanted stress. Relocation is a tough process and the amount of goods which are carried during the same makes it even tougher. If you wish to complete the things within your vicinity then better you should start it in advance time. Jumping for the things at the last moment is definitely not the solution. A bedroom is amongst the most important places of home so you should pack it efficiently. While doing so, make sure that you have a plan to do the things. If you are doing the things by own then you should follow the tips that are mentioned here. These are not just tips but these are the best tricks that will make bedroom packing easy for you. If you are in the dilemma whether you can manage packing of a bedroom by own or not then you should, first of all, make a plan. As per the number of items that you are carrying, you should measure the things whether you can do it or need a professionals assistance. Of course, packers and movers make a better choice but in case you find yourself more qualified for the task and you wish to save your hard-earned money too then there cannot be any other better way than this. Follow the tips and packing bedroom for the move will become the easiest task for you.